This gut renovation and addition of a three-story wing to this 1928 Italian Revival estate required some tricky construction feats. In order to add a new basement beneath the original house, Chelsea slipped steel girders under the existing home to secure it while they dug out the basement. The interior remodel preserved much of the original detail of the home while the new wing paid homage to its historic elements. Chelsea built a new cabana with indoor and outdoor kitchens, a dining patio with outdoor fireplace and a sizable interior sitting room for entertaining. 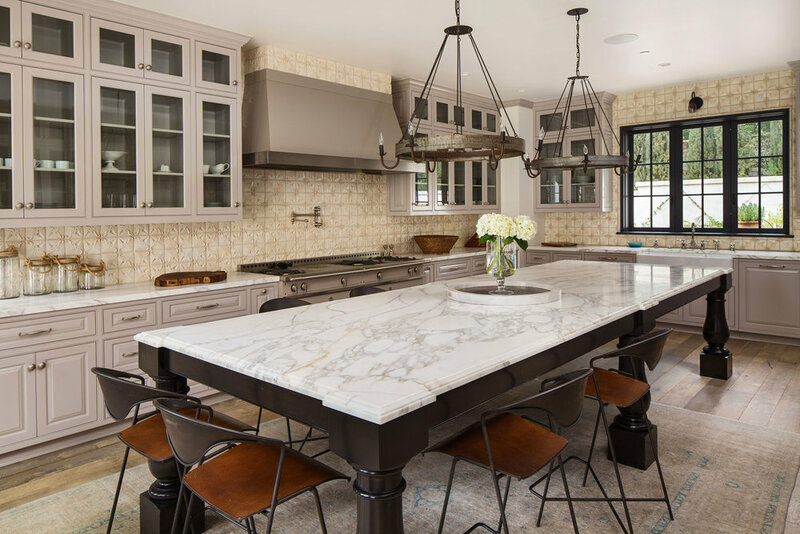 The project was a true collaboration with the client who selected all the materials, tile, stone, fixtures and finishes herself. The end result is a stunning estate, designed for today’s living while respecting the 1928 character of an historic home. Furnishings by Overton House Design. Photography by Roberto Garcia Photography & Dunja Dumanski respectively.